“The day she died, time came to a standstill.” That’s how Vijay Dixit describes the effect of his daughter Shreya’s death at the hands of a distracted driver. Shreya was a passenger coming home for a visit from UW Madison when the driver reached for a napkin, lost control, and crashed the car. Shreya died on the spot. 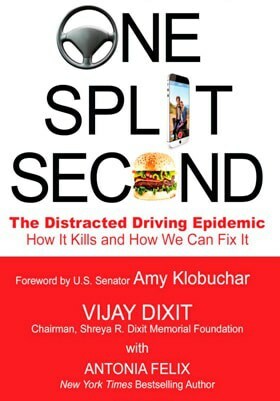 Vijay and his wife attended grief counseling, where they were told that “if we didn’t do something positive for ourselves, we’d be in asylums.” So Vijay started talking to AAA Driver School and other drivers’ education classes, anyone who would listen to his message about driving distraction-free. And the Shreya R. Dixit Memorial Foundation was born. Suvarna is part of a generation that doesn’t remember life without cell phones, but that didn’t stop her from noticing what a danger they could be. 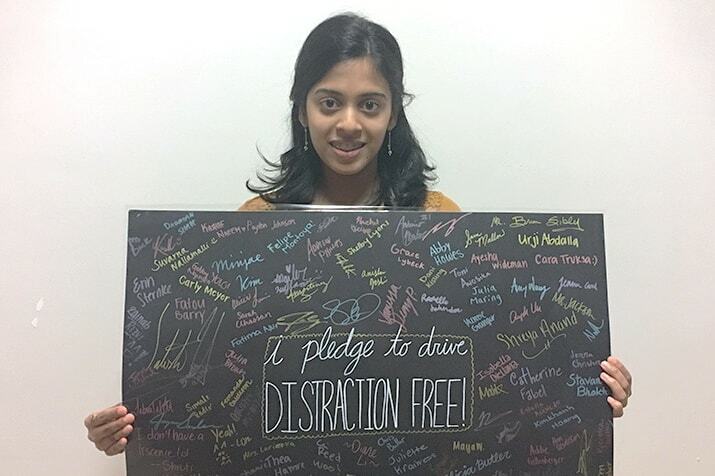 The danger became really clear once Suvarna started learning to drive: “Driving with my friends or an adult, I always saw people driving distracted, but when I started driving myself, I saw these distractions are more prevalent and worse for teens. I wanted to do something to keep other teens safe.” Hence her involvement in the club, whose membership is up to about 25 people this year. 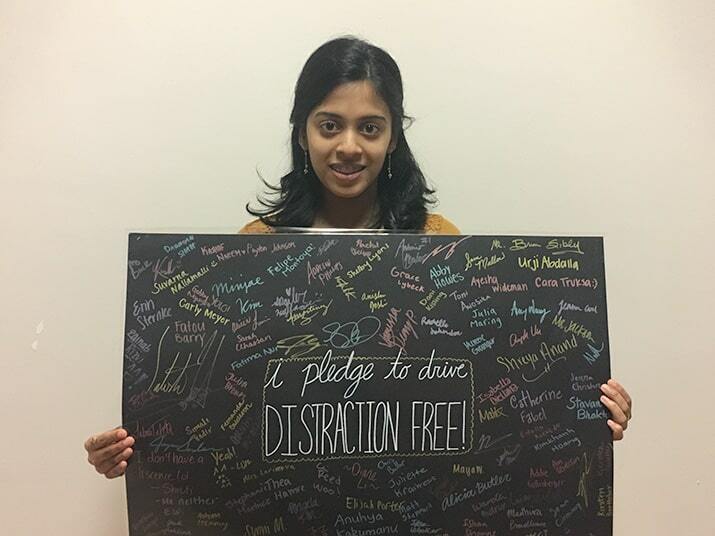 Suvarna’s observations are correct: Distracted driving has become a huge problem, as evidenced by a recent enforcement campaign. From April 10-23, law enforcement statewide cited over a thousand drivers for texting and Web surfing while driving. And in 2016, nearly 6,000 drivers received the same citation, a horrifying 251 percent increase since 2012. And why teens? Suvarna explains: “If we get the message out to kids now, catching them in an early stage before they get their license, we can help them prevent driving distracted.” The hope is that the more teens who are aware of the problem get out on the road, the fewer distracted driving citations –and deaths – there will be.